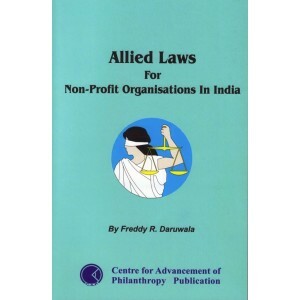 “Allied Laws For Non-Profit Organisations In India” written by Freddy R. Daruwala, who is both a qualified chartered accountant and a lawyer, covers topics ranging from Affidavits and Power of Attorney to Bequests, Transactions in Immovable Property, Rent Control and Tenancy Laws, Trademarks, Negotiable Instruments Act, Gratuity, Employee Provident Funds, Consumer Protection Act and Criminal Law. Many of these laws are of significant importance to Board members and senior executives in understanding their powers, duties and obligations under Indian Laws. This resource book written in a simple and easy-to-understand style is an ideal companion to CAP’s earlier book, ‘Management of Philanthropic Organisations’.